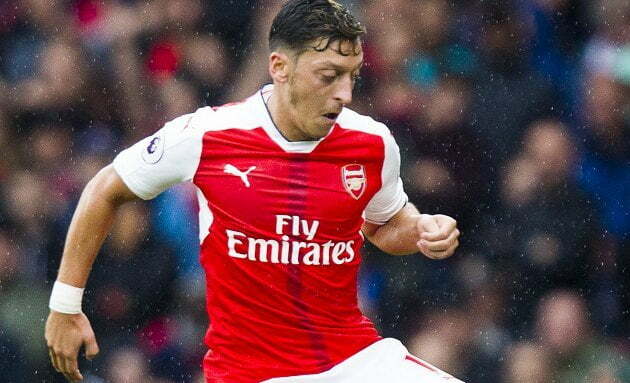 Former Arsenal striker Ian Wright said midfielder, Mesut Ozil could join Manchester United on a free transfer, a potential deal that “frightens” him. Ozil’s contract will expire at the end of the season, and the midfielder has been heavily linked with both United and Barcelona. Ozil has provided three assists and scoring one goal this season. Questions over the future of Ozil and Alexis Sanchez persist as the duo could leave the Emirates Stadium on free transfers next summer should they wish. And Wright, a former Gunners’ striker, is worried the playmaker will link up with Jose Mourinho at Old Trafford. He told BBC Five Live, “Do you know what? That would break my heart. You know why? Because they’ve got players who perform and play well. I could see, for instance, I’m hearing (Juan) Mata is kind of edging for a deal. “If that doesn’t happen Mesut Ozil on a free to Man United is a shoo-in. I could see him at United being unbelievable. “He’s the kind of player, we’ve seen it sometimes with Arsenal. But I’ve said to people before, he can’t drag a team up by their laces and make them all play well. “But if they’re playing well and you stick him in, unbelievable. He is the one that you want to say ‘you know what, I just need someone to finish this off’. I would put Ozil in and that frightens me to know that he could end up at Man United.